Like reading? Join the Student Book Club! More than just books, the Weinberg Memorial Library is a central hub for collaboration, technology, art, research, and even coffee breaks. 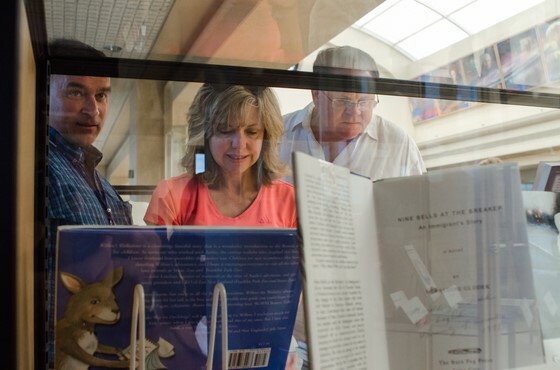 Scranton students have 24-hour access to this campus hotspot, as well as 24-hour online access to thousands of special collections and digital resources. Thanks to Friends like you, the Weinberg Memorial Library is able to grow the number of resources available on campus and online each year. Today, on The University of Scranton’s Day of Giving, consider making your 5.06 gift to the Library. Buy a Book on 5.06! Did you know it costs $75 to add one book to the campus collection? With a gift of $75 or more today, a nameplate will be added to a book in your honor. Visit the fifth floor Heritage Room of University of Scranton’s Weinberg Library to view a collection of bookbindings created by local bookbinder and printer, Don Rash. The exhibit is free and open to the public. It can be viewed during normal library hours. 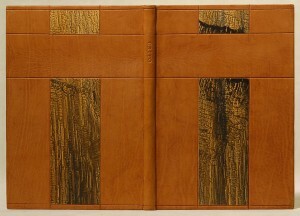 For more information, please contact Special Collections Librarian, Michael Knies. Michael.Knies@scranton.edu, (570) 941-6341. 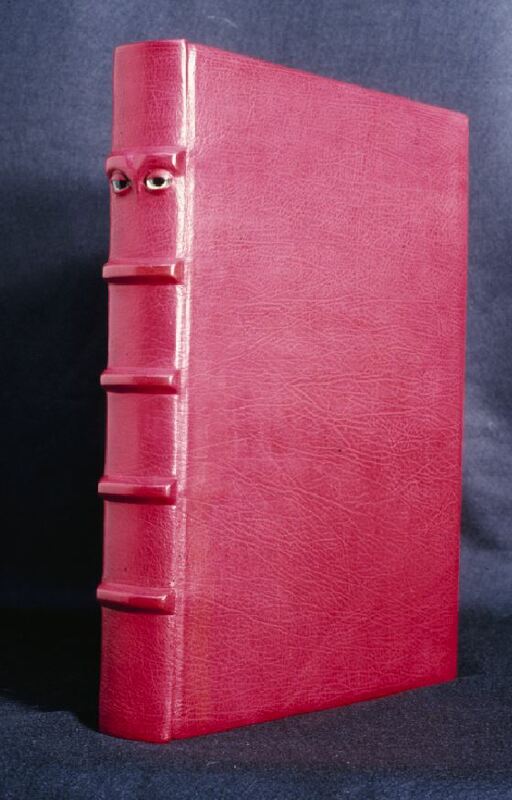 The range of subjects varies greatly, encompassing alumni who became authors in their academic fields, nonfiction writers, novelists, children’s literature writers, and historians. The earliest alumnus featured is Clarence Walton, ’37, 10th president of The Catholic University of America and the first layman to hold the position. The youngest graduate featured in the exhibit is Sarah M. Piccini, ’07, G’10, whose local history book, Framing Faith, provides a pictorial history of former churches in the Diocese of Scranton. A recent addition to the collection is a book by retired NASA engineer, Glynn Lunney, ’55, H’71. Lunney was an employee of NASA from its creation in 1958 until 1985 and was the flight director during the Gemini and Apollo programs. He was on duty during historic events such as the ascent of Apollo 11 and the pivotal hours of the Apollo 13 crisis. We encourage you to explore this wonderful exhibit and celebrate our alumni and their important contributions in the publishing world. 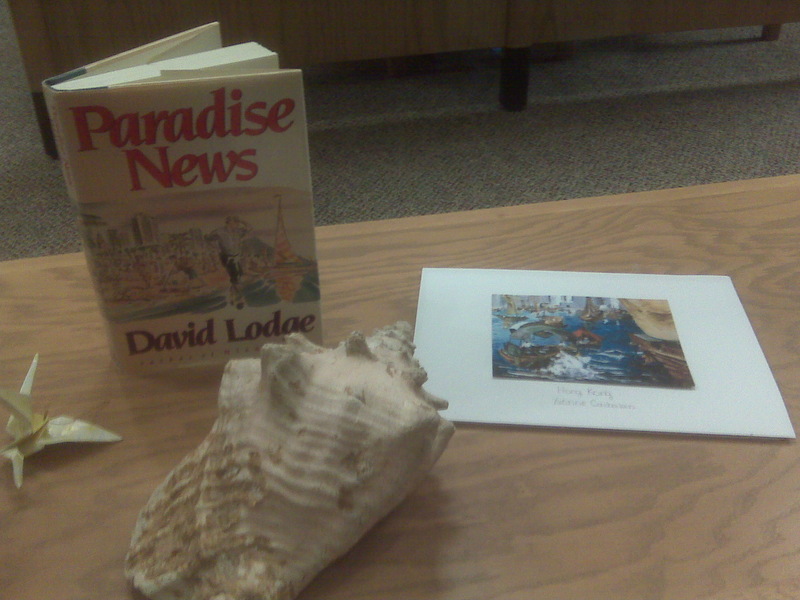 The exhibit is on display during normal library hours. 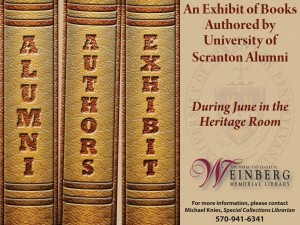 For a full list of books by alumni authors that are available at the Weinberg Memorial Library visit Scranton.edu/alumniauthors. 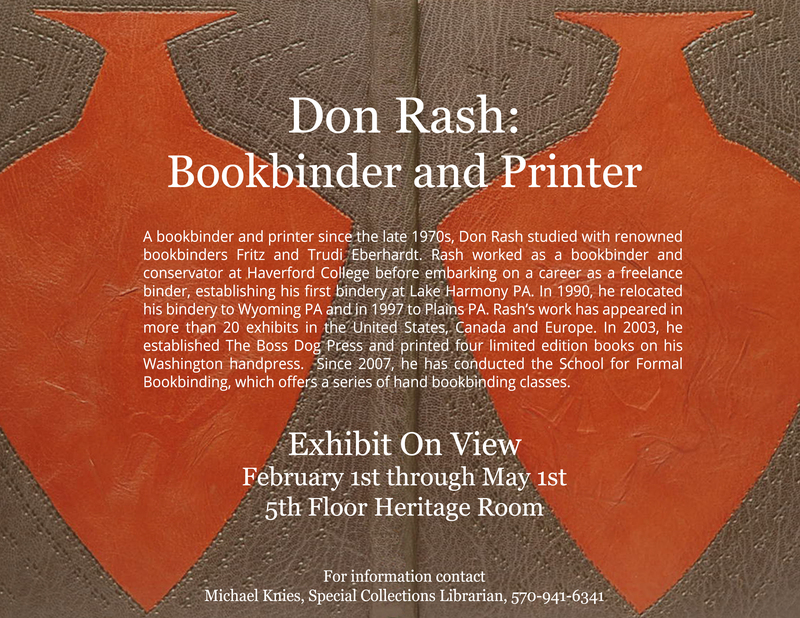 For more information about the exhibit, please contact Michael Knies, Special Collections Librarian, (570) 941-6341. 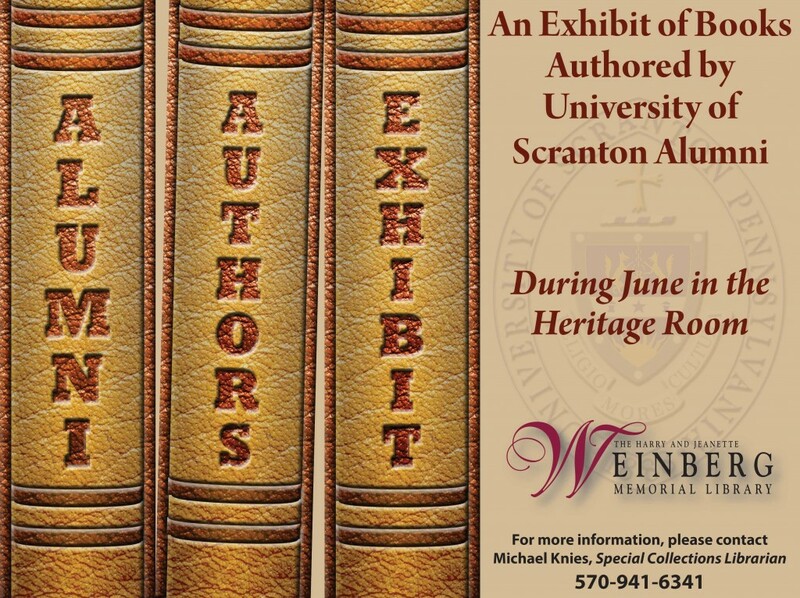 If you an alum with a published book and would like to donate a copy to the library for display in its annual exhibit, please mail a copy to The Office of Alumni and Parent Engagement, 800 Linden Street, Scranton, PA 18510. The Library will host its Annual Book Sale the weekend of April 27th. As always, proceeds will benefit the Friends of the Library endowment fund in support of WML’s collections and services. If you are a student and would like to earn service hours, please consider volunteering. We will need help pricing, organizing, and selling the books. 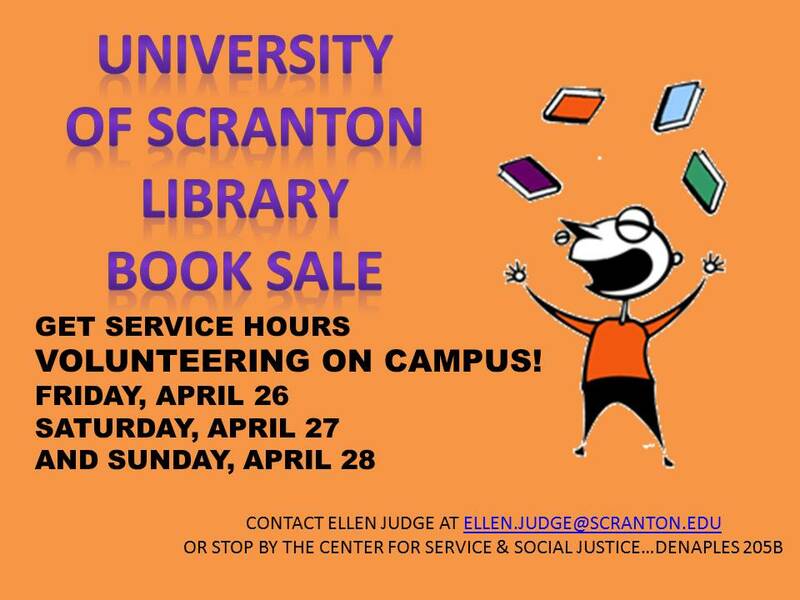 For more information or to sign up, please contact Ellen Judge at Ellen.Judge@scranton.edu or stop by the Center for Service & Social Justice, DeNaples 205B. The Library is also seeking donations of tag sale items and current hardcover and paperback books in good condition. No encyclopedias or old textbooks please. You may drop off your contributions in the donation boxes at our Monroe Ave entrance. 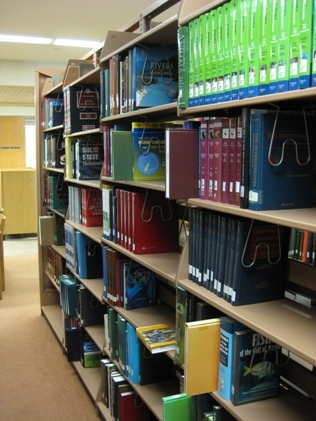 Thanks to the Library’s Cataloging Department, finding new books has never been easier. Now, if you want to see what new books have come in for a specific subject, then all you have to do is visit the Library’s Research Guides at www.scranton.edu/library/researchguides. You would then pick a subject, for example “History.” In the History Research Guides page you will see useful links which direct you to helpful Databases, Reference Books, Websites, and contact information for the Librarian Subject Specialist; but now there is also a link to “New Library Books.” Clicking New Library Books will take you to the library’s Catalog and a display of all of the new books that the library has acquired for that specific Academic Department! October is GLBT History Month, and the Scranton Inclusion student group will be celebrating the achievements of GLBT icons throughout history. If your interest is piqued by the flyers you’ll be seeing around campus, why not stop by the Library to learn a little more about GLBT history? And don’t forget that you can take a look at our GLBTQ Inclusion Research Guide for additional resources on GLBTQ issues. Our science reference books have moved! No longer do they sit alone on the third floor, isolated from the rest of the reference section. You’ll now find them integrated into our second floor reference collection, enjoying the company of the other disciplines. 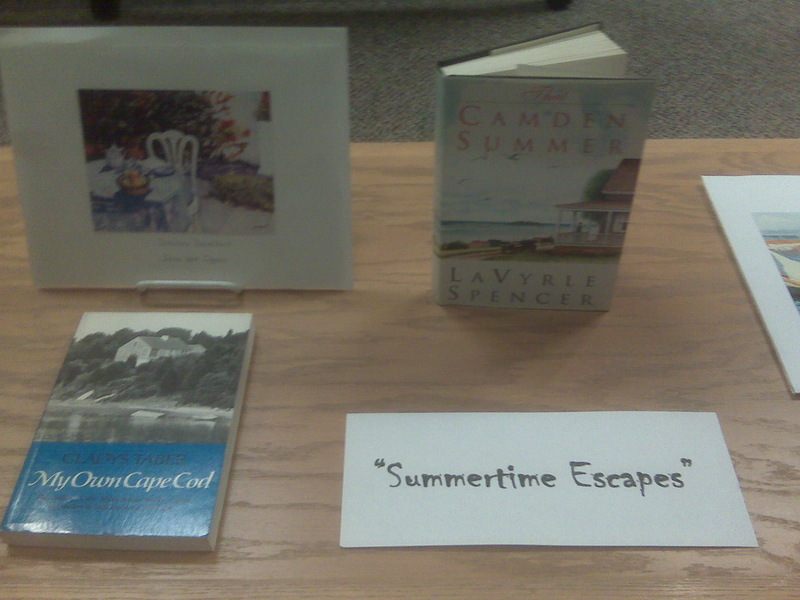 The Circulation and Access Services Team put together a display highlighting the summer season with pictures of original art and literature. Please stop by. The books are available to purchase or can be checked at the Circulation Desk on the first floor.